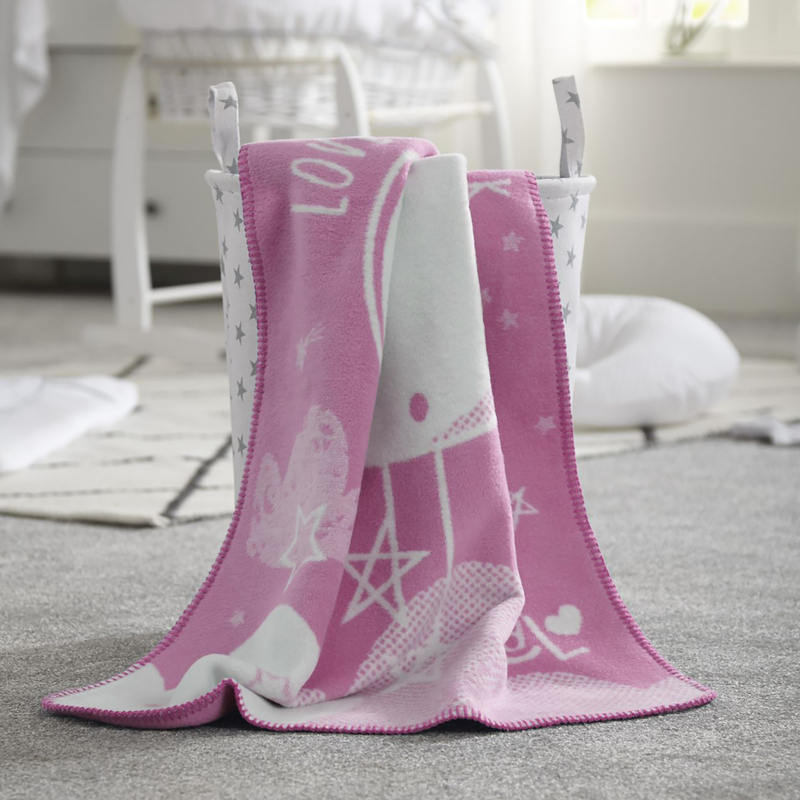 The super-soft Fleece Blanket from Clair De Lune has the soft touch feel of low pile fleece and the cool feel of cotton for all year round comfort. 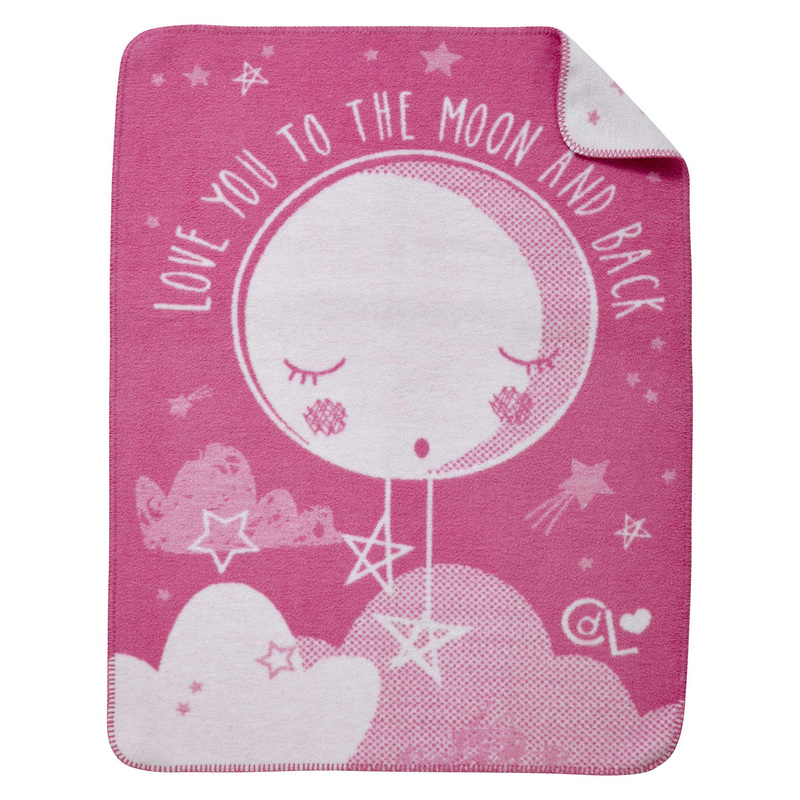 Ideal for use in a pram, crib or cot, the blanket features a sleepy moon in a star-filled sky with text that reads ‘Love You to the Moon and Back’. The perfect gift and sentiment for a newborn!